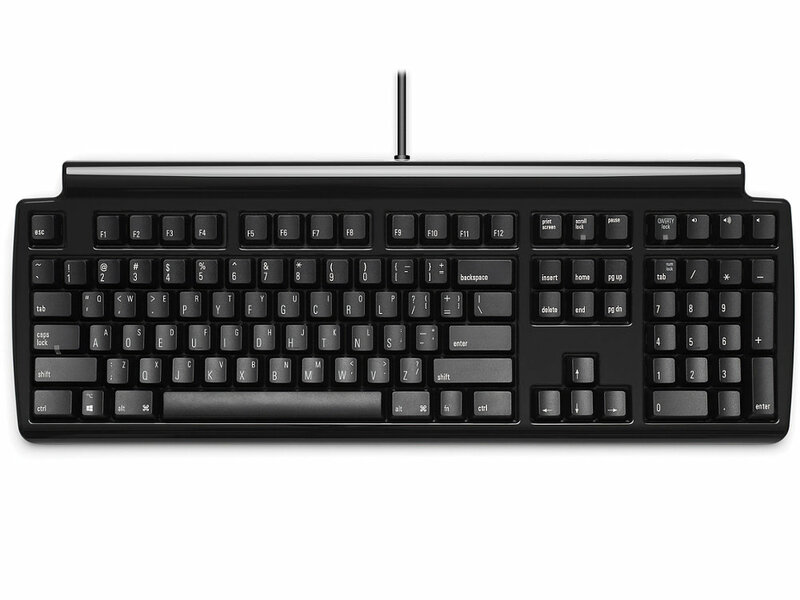 This is a full size keyboard featuring the Dvorak layout hardwired into the keyboard. There is no need for software drivers or awkward settings. 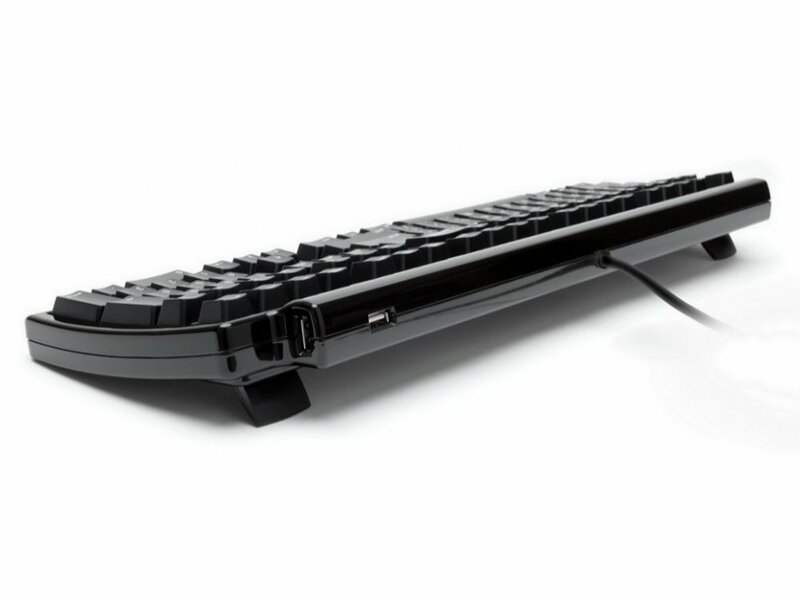 It has a button that toggles instantly between Dvorak mode and QWERTY mode, for those times when other people need to use your keyboard. Keys are printed with Dvorak in normal size, and also with QWERTY (in small print in the upper right corner). The Dvorak Pro uses Matias' new Quiet Click mechanical keyswitches. They deliver a feel that's unmatched for comfort - without sacrificing the tactile feedback you need to type really fast. Mechanical keyboards offer the best performance, but they�re noisy - too noisy to use in most offices, or around other people. This is the first one that's quiet. Over two years in the making, it's the only mechanical keyboard that keeps both your fingers and your co-workers happy. The latest trend in keyboards is to have very flat & wide keys, with little or no space between them. You see this a lot on laptops and netbooks. While they look great, they can also be a little tricky to type on. The flatness makes it very easy to slide out of home row and lose your bearings.The Dvorak Pro bucks this trend. 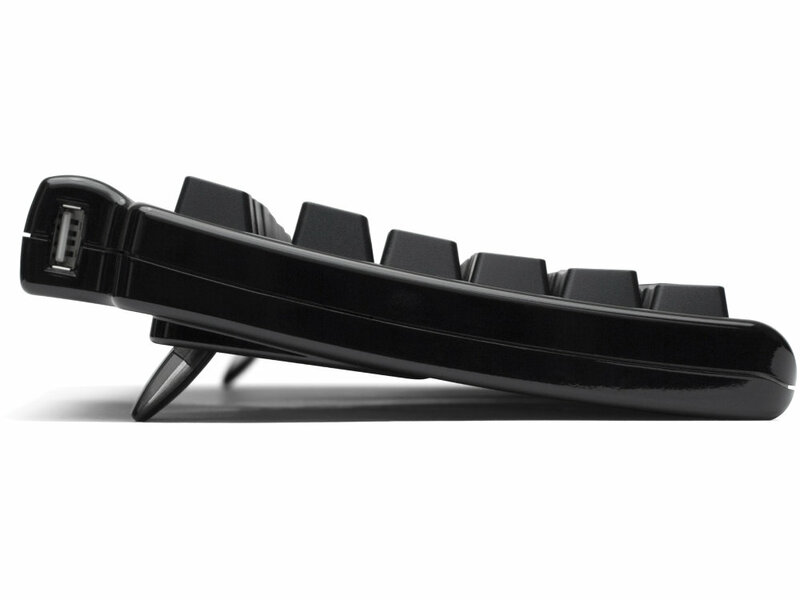 It has traditional sculpted keytops, curved to fit your fingertips, and keep you from sliding out of home position. Most keyboards allow only a few keys to be pressed at once, so they can't keep up with very fast typists. The result is called ghosting - letters missing from what you actually typed, or additional letters that you didn't type. The Dvorak Pro has special Anti-Ghosting Circuitry to eliminate these problems. You can type as fast as you're able; the Dvorak Pro will keep up.